It should come as no shock to you when I say that Nevada is the best state for poker players. They’ve legalized online (intrastate) poker, allow players to play poker within their own homes and have 100s of card rooms and casinos that spread live poker games. Nevada is the most progressive state, too, as they attempt to tweak their laws so that they can work with other states in the future. In what way, and how will that benefit residents? Online poker is only legal if you’re playing at a state regulated casino with other people currently located within the state. Here are the general laws that operators need to follow in order to operate online within the state. That being said, it’s still possible to play online at other poker sites. However, in doing so, just know that you’re breaking the law. Home poker games in Nevada is perfectly legal so long as no one is profiting or taking a rake from the game itself, but only from their opponents. NRS 463.0152 “Game” and “gambling game” defined. “Game” or “gambling game” means any game played with cards, dice, equipment or any mechanical, electromechanical or electronic device or machine for money, property, checks, credit or any representative of value, including, without limiting the generality of the foregoing, faro, monte, roulette, keno, bingo, fan-tan, twenty-one, blackjack, seven-and-a-half, big injun, klondike, craps, poker, chuck-a-luck, Chinese chuck-a-luck (dai shu), wheel of fortune, chemin de fer, baccarat, pai gow, beat the banker, panguingui, slot machine, any banking or percentage game or any other game or device approved by the commission, but does not include games played with cards in private homes or residences in which no person makes money for operating the game, except as a player, or games operated by charitable or educational organizations which are approved by the board pursuant to the provisions of NRS 463.409. Do Casinos in Nevada Offer Poker? Ok, kidding aside, you’ll have no problem finding a live poker game in Nevada. There are over 250 casinos and cardrooms in Nevada that spread poker games. There are over 100 spots in Las Vegas alone. We receive many questions about the legality of online gambling in the state of Nevada. We thought it would be beneficial to post those questions and our answers here for everyone to read. 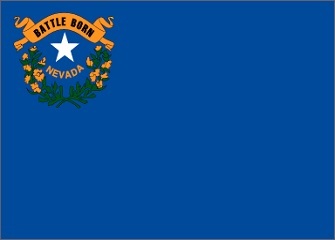 Will online poker be regulated in Nevada? Nevada already has regulations in place that allow casinos the ability to apply for and obtain a license to operate a casino online. Is there an online poker room that accepts players from Nevada? Yes. Ultimate Poker is currently the only legal and licensed poker for residents of Nevada. Caesar’s casino has said that they are releasing their online casino later in 2013, too. The state has given out over 20 licenses for online poker to date, so expect to see more online poker rooms and casinos pop up as time goes on. Legislation also passed in February 2013 that would tweak current laws in such a way that Nevada could work with other sites to offer intrastate poker on a larger level. As Pete Ernaut put it: "It's imperative for the success of this that we compact with other states because we don't have a universe of players.” The state clearly recognizes the need to work with other states, and now have the infrastructure in place to do so. Aside from those options, residents can still sign up to sites like Bovada, Sportsbetting Poker and BetOnline. It’s not ‘legal,’ though. What other forms of regulated gambling is offered in Nevada? Other than the hundreds of commercial casinos in the state, Nevada also offers sports betting, para-mutual horse racing and charitable bingo. They have no state lottery, though. Where can I read more about Nevada poker laws? Here are some interesting facts about gambling and poker in the state of Nevada. The MGM Grand in Las Vegas is America’s largest hotel, and the second largest hotel in the world. It covers 171,500 square feet. Nearly 50% of the state’s revenue comes from gambling taxes. There are almost 150,000 slot machines in Clark County. That comes out to 1 machine for every 9 people. The Las Vegas Strip, probably the most well-known ‘land mark’ in Nevada, isn’t actually in the city of Las Vegas. It’s right outside the jurisdiction of Clark county. Nevada gaming laws state that the minimum payback for video slot machines is 75%. Before you get excited, though, remember that this is over the life of the machine, and not during your particular visit. In March of 1931 Governor Fred Balzar signed the bill that legalized gambling in the state. Jack Dempsey was once the bartender and bouncer at the Mispah Hotel and Casino in Tonopah. Wyatt Earp was once the lawman in that town.